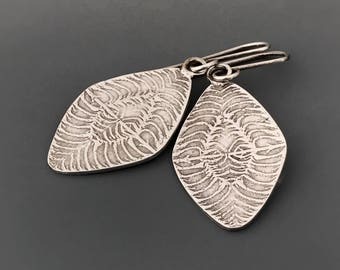 *Offered here is a beautiful pair of sterling silver round dangle earrings. It is so very enjoyable to see a design born and come to fruition from a drawing. 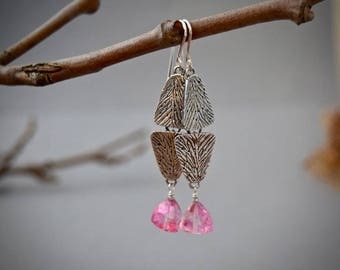 I am making a series of jewelry designs based on textures and forms inspired by my nature walks. This pattern here reminds me of branches on a tree as you look up. 'Shaakh' in Hindi means branch. 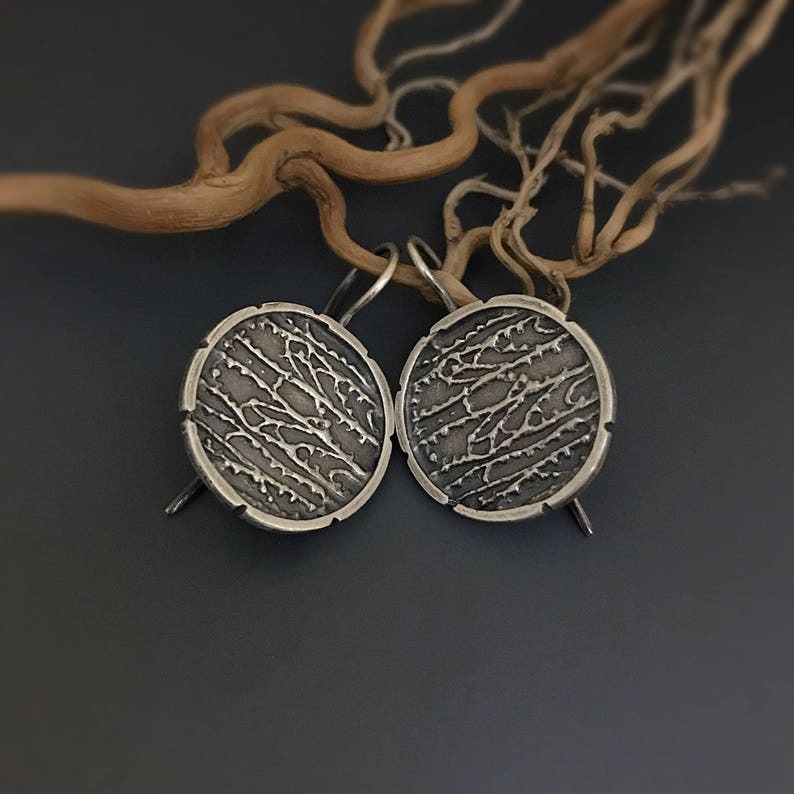 The earwires are soldered on to the round textures forms give these a very cool modern tribal feel. 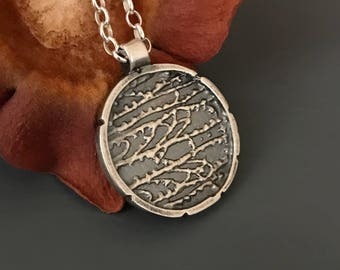 This will make an excellent jewelry gift for someone special or a treat for yourself! 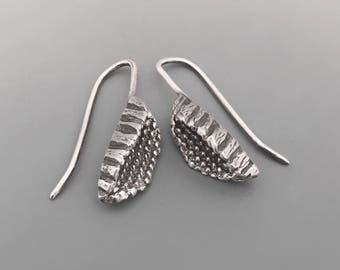 These will also transition easily from everyday earrings to elegant earrings for a dressed up look! *These are totally flattering when worn and measure around 1.25 inches. 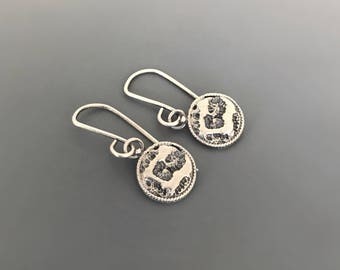 Very nice earrings! Love them! 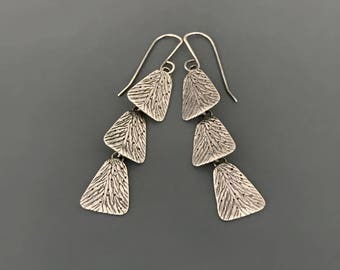 These earrings are exactly as pictured; the design is lovely and the oxidation brings it into high relief. They are stunning. The delivery was swift and the packaging would have made a beautiful gift presentation. Thank you, thank you!